According to the Pews Research Center, the number of Latino eligible voters has increased since 2012 by four million, accounting for 37 percent of the growth. According to the Center’s projections, a record 27.3 million Latinos are eligible to cast ballots, representing 12 percent of all eligible voters. Below are other key facts about the Latino vote. 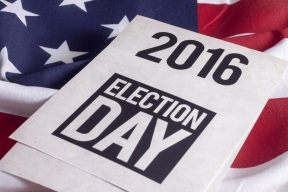 Millennials make up 44 percent of Latino eligible voters and are the main driver of growth in the Latino electorate. From 2012 to 2016, 3.2 million young U.S.-born Latinos came of age and turned 18, accounting for 80 percent of the increase in Latino eligible voters during this time. 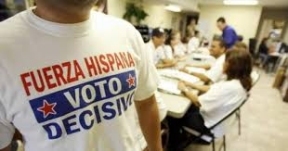 Among Latino registered voters who are “absolutely certain” they will vote, one-in-five will be voting for the first time, according to Pew Research Center’s National Survey of Latinos, published this month. 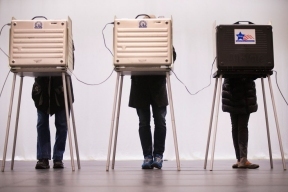 Among Millennial voters, 36 percent say they will be casting a ballot for the first time, compared with nine percent of non-Millennial voters ages 36 and older. A slightly lower share of Latino registered voters say they are sure they will vote this year compared with four years ago. This year, 69 percent of Latinos are “absolutely certain” they will vote in November, down from 77 percent in 2012. In past elections, the Latino voter turnout rate has lagged that of other groups. For example, in 2012 Latinos had a turnout rate of 48 percent, compared with 67 percent for blacks and 64 percent for whites. Hillary Clinton has more enthusiastic support from older Latinos than from Millennial Latinos. Two-thirds (64 percent) of Millennial Latinos (ages 18 to 35) who back Clinton say their support is more a vote against Donald Trump than for Clinton. The reverse is true among older, non-Millennial Latino voters (ages 36 and older): 65 percent say their support of Clinton is more a vote for her than against Trump. Overall, more than half (55 percent) of Latino registered voters who back Clinton say their vote is more a vote for Clinton than against Trump. Three-quarters of Hispanic registered voters say they have discussed Trump’s comments about Hispanics or other groups with family, friends or coworkers. Those who have discussed Trump’s controversial comments on Hispanics, Mexican immigrants and other groups in the past year have given more thought to the election and are more certain they will vote.